The aim of the network is to provide a forum which will facilitate a greater level of communication between researchers with an ethnographic interest in the qualitative characteristics of contemporary British society, from ethnicity and migration to rural communities, museums, popular culture, social movements, gender, health and medical technologies, social exclusion, local governance, and political structures. Its immediate objective is to enable those of us who share a common anthropological perspective to take a broader view of the social context within which we are working, and to explore the intellectual concerns shared by anthropologists doing research on different aspects of British society. As well as establishing a network within which to exchange views, the network will also hold regular face-to-face workshops. If you would like more information on the AOB or to be added to our mailing list, please contact the co-convenors Dr Katharine Tyler (k.tyler(AT)exeter.ac.uk) and Dr Cathrine Degnen (cathrine.degnen(AT)ncl.ac.uk). We are delighted to announce that a number of AOB members have recently contributed to the 2017 Sociological Review Monograph: Reconfiguring the Anthropology of Britain: Ethnographic, Theoretical and Interdisciplinary Perspectives. The edited collection appears as volume 65, Issue 1 of The Sociological Review, and also as a stand-alone monograph. Full details available here. At our annual network meeting, we welcomed Steve Hanson, author of 'Small Towns, Austere Times', to speak about his monograph. The focus was on the ethics and politics of community research for the disciplines of Social Anthropology and Sociology, drawing on examples from 'Small Towns, Austere Times'. His talk was preceded by an open discussion of the implications of Brexit for the anthropology of Britain, chaired by Jeanette Edwards. Dr Hannah Rumble, University of Exeter 16th April 2015, at ASA15, University of Exeter Given that ASA15's theme was 'Symbiotic anthropologies: theoretical commensalities and methodological mutualisms' and one of the key questions asked was: "What can - or should - anthropologists do and with whom?" I felt it apt, as an anthropologist who has conducted most of her fieldwork in Britain to screen a 12 minute film that documents a project I ran with a community artist in Bristol in 2013 called Dead and Buried. A project that creatively engaged young people, between 17 and 25 years old, identified as 'Not in Education, Employment or Training' (NEET), with places of death (a natural burial ground, cemetery and crematoria) over an intensive 10 weeks, culminating in a public exhibition of the young people's creative output. In this presentation I will reflect upon the symbiosis and unexpected outcomes of this innovative, creative collaboration between contracted anthropologist, self-employed community artist and 10 unemployed young people. Please download this PDF for more details. Confirmed speakers and discussants included: Cathrine Degnen (Newcastle); Jeanette Edwards (Manchester); Gillian Evans (Manchester); Samantha Hurn (Exeter); Richard Irvine (Cambridge); Laura Jeffery (Edinburgh); Insa Koch (LSE); Judith Okely (Hull/Oxford); Nigel Rapport (St Andrews); Alexander Smith (Warwick); Katherine Smith (Manchester); Katharine Tyler (Exeter); Pnina Werbner (Keele) and Andrew Whitehouse (Aberdeen). The workshop considered the following questions and themes: 1) What is the relationship between the anthropology of Britain and the discipline of social anthropology more broadly? 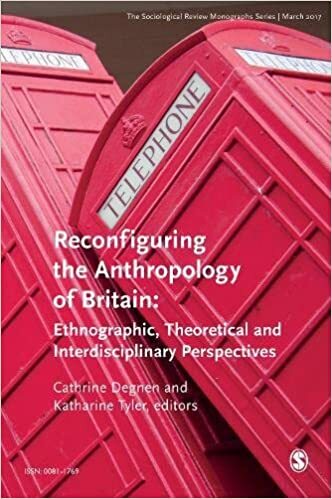 2) What reflections can a confident anthropology of Britain make upon its relationship to other disciplines such as sociology, human geography, politics, and history? 3) How has work in the anthropology of Britain contributed to an understanding of the social fabrics that constitute the individual and rich tapestries of the lives of people that inhabit Britain? Growing problems of unemployment, rising levels of reported crime and disorder, and increasing problems of child poverty and inequality - to name just a few - are among the pressing issues confronting British society today. In the media and wider public imagination, these issues have often been portrayed as evidence of a 'broken Britain', the rise of an 'underclass' or the result of a 'culture of dependency'. Under the new Coalition government too, drastic cuts are being undertaken which advocate a more punitive and exclusive turn in the provision of public welfare in Britain today. Such developments have not gone unchallenged though, and various movements and responses from below have begun to articulate alternative visions and identities surrounding welfare and wellbeing today. For this year's ASA 'Anthropology of Britain' workshop, we invite papers addressing some of the challenges, rhetoric and local responses surrounding questions of human welfare and identities in Britain today. By bringing together different ethnographic, comparative and theoretical perspectives, the aim of the workshop is to engage both with some of the specific challenges confronting contemporary Britain as well as to offer some critical reflections on anthropological discussions of human welfare, well-being and identity formation more generally. For details of the papers presented, please download this PDF. The focus of the meeting was New British Ethnographies, with Manchester University Press recently publishing three. We welcomed the authors of these books, Michaela Benson, Laura Jeffery and Alexander Smith, who discussed their recently published MUP monographs. The Anthropology of Britain Network and Interdisciplinary Centre of the Social Sciences (ICOSS) held a joint workshop on the theme of "Researching Everyday Life". The workshop sought to open up interdisciplinary conversations between scholars in the social sciences and the humanities on this common point of interest, exploring the wide range of perspectives currently at work in our respective disciplines, and developed opportunities to network across disciplinary lines with a view to future research collaborations. For more details of the papers presented, please download this PDF. Building on a renewed disciplinary interest in critical perspectives on class, the meeting opened with an informal discussion on the place and role of class in AOB research. The meeting then opened for other business. See conference site. The AOB held its fourth annual workshop at Sheffield Hallam University. The theme of the workshop was as follows: It has been called the knowledge society, the information society and the interview society. In today's Britain we are surrounded with depictions of ourselves and each other, from politicians and the peace movement to personalities, people in landscape, or even to the inner workings of our bodies; images, narratives, examples, attempts to display and explain who and what we are and how we interact with our surroundings (including each other). What does the anthropological eye contribute to our understanding of depicted events and phenomena? This workshop invites abstracts for papers which discuss the changing communities of Britain and their portrayals, and use theory and method derived from anthropology to critique and question how representations reflect and create 'realities' and understandings of life in Britain today. It is expected that some papers will focus on the use of (our own) representations to create anthropological understanding and critical awareness, while others will question what public representations 'do' in the wider communities. For more details of the papers presented, please download this PDF. The meeting began with a short talk and Q&A session by Professor Catherine Nash (Queen Mary, University of London) about her recently published book, Of Irish Descent: Origin Stories, Genealogy, and the Politics of Belonging, Syracuse University Press, 2008. The meeting then opened for any other business. The Anthropology of Britain network held its third workshop on January 10-11th, 2008 at the University of Aberdeen. Building on our recent panels at the ASA in London and Keele, and the AOB workshops at the University of Surrey and the University of Newcastle, this was an opportunity for AOB members to meet and present their current work. The theme arises from a context of Scottish and Welsh devolution, political debates over immigration and assimilation, and recent political declarations regarding the importance of Britishness. In a world where identities are often assumed to be so simple that they can be attached to cards, ethnographic research has a lot to offer in terms of making complexities visible. Click here (PDF) to see the workshop programme. The meeting started with a short talk and Q&A session by Dr Gillian Evans (Manchester) about her recently published book, 'Educational Failure and Working Class White Children in Britain', Palgrave, 2006. The meeting then opened for other business. The Anthropology of Britain network held its second day-long workshop at the University of Newcastle on January 12th, 2007. This was the first anthropology conference ever to be hosted at Newcastle and was a very successful event, offering the chance for a number of AOB members to meet and for some to present their current work. Please click here [Word doc] to see the programme of events. Funding was generously provided by Newcastle's School of Geography, Politics, and Sociology. This was held at ASA06 at Keele. Agenda items discussed were: an update on the network's activities; list of members' research interests and contact details; and planning for an ESRC Seminar Series Grant. This workshop was the first of its kind for the newly established network. Having been granted ASA network status in March 2004, the members of the Anthropology of Britain network were eager to get underway with a first face-to-face workshop and to build up connections amongst members which had already been established during the past year through largely electronic communication. This workshop aimed to reflect contemporary debates and recently published research within the anthropology of Britain. In so doing, the workshop represented the diversity of ethnographic and theoretical interests of the network's members (some 70 people). Click here to download the programme as a Word file.